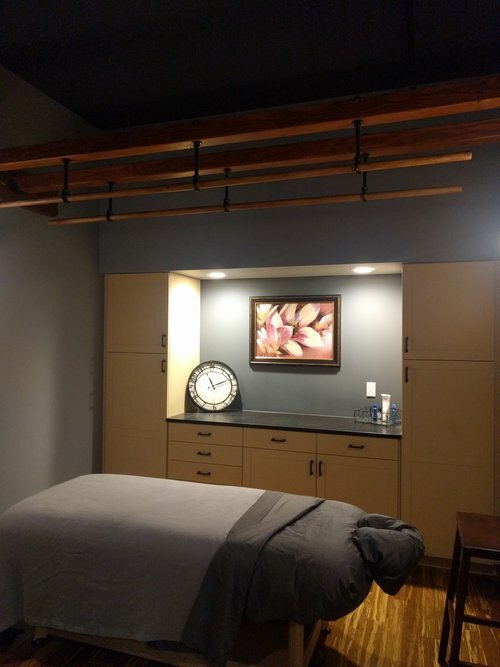 At Melrose Massage, each of Melissa's massage sessions offer a unique crafting of massage techniques that will address the specific needs of the patient. Melissa is skilled in Injury Treatment, Lyphatic Drainage, Ashiatsu Massage, Deep Tissue Massage, Myofascial Release, Swedish Massage, Sports Massage, and Pregnancy Massage. She has more than five years of bodywork experience and expertise. She uses intuitive massage abilities with a variety of massage therapy modalities to bring about powerful results for every visit. She uses only organic and other high quality lotions and oils. In an Ashiatsu session, the client relaxes on a comfortable massage table while the therapist stands on the table holding onto overhead bars for balance and support, using their feet to deliver the massage. The advantage of this massage — both for the client and the therapist — is that Ashiatsu allows gravity to do the work, leveraging the therapists' body weight to provide a depth unmatched by other techniques. Swedish Massage uses long, gliding strokes with the intention to lengthen musculature to decrease tension. It is a wonderful modality as an upper body or a full body massage for a truly relaxing experience. Deep Tissue Massages uses slow strokes, often with heavier pressure to relieve tension for the lower layers of musculature. It is more commonly used to help relieve chronic pain with therapeutic intent specific to your needs. Lymph drainage massages can help reduce swelling, reduce scarring and detoxify the body. Lymph drainage massages help speed regeneration of tissues and cells. Lymph drainage massages are designed to increase the flow of the lymphatic system in the body. People with medical needs and those who are healthy can both benefit from this type of massage.